What is the Highest ACT Score? So you’ve come to learn about the highest ACT score? Welcome! First things first: What is the highest ACT score? 36. 36 composite (overall), and 36 in each test (or section). Still reading? That’s awesome! Most people, once they learn that the highest ACT score is 36, go on their merry way. But if you’re seeking to raise your ACT score to such sky-high levels, read on for some tips and tricks to reach the top of the ACT score charts. Still, aiming for the very top is a great way to ensure that you get one of these great scores. And with some work, you may just be one of those 7 out of 1,000 to get that 36! There are so many ways, so many guidebooks to help you reach the summit that it can be hard to know where to start. That’s why we’re here! Taking a practice test is your first step. 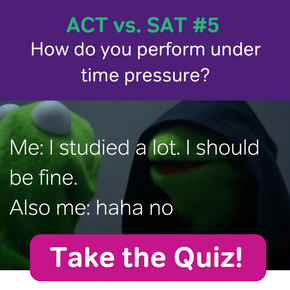 Next, check out our ACT Study Schedules to find how to prepare the best in the time you have. As you continue to reach for that perfect score on the ACT, constantly evaluate your work. What types of questions continually stump you? Then, seek out lessons, posts, and practice problems in these areas. (Hint: you’ll find tons of ACT strategies and practice problems right here on the Magoosh blog!) Continually test yourself to make sure you’re integrating what you’ve learned into your test-taking. Like real estate in Phoenix, a 36 was worth a lot more ten or fifteen years ago. Now, I’m not saying that scoring a perfect 36 has completely lost its value over time, but many colleges and scholarships have adopted more holistic (well-rounded) admissions approaches to giving out letters of acceptance and/or monetary awards. In a lot of ways, this is good news for students, as the process values your coursework, letters of recommendation, essays, and other factors as well. To have your 36 really shine in your application, make sure those grades are good, or at least improving, throughout high school. Admissions counselors are generally sympathetic to students who stumbled a bit their freshman year and turned themselves around. If that’s you, make sure to emphasize this in your admissions essays. Keep in mind, as well, that some colleges will accept ACT superscores. So if your perfect 36s vary in section from test to test, your superscore may still be that perfect 36! Last but not least, make sure that there’s one or two extracurricular activities in there, too. 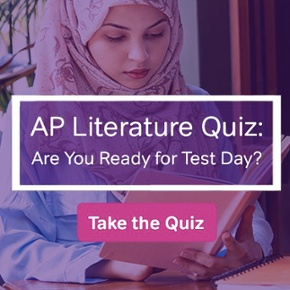 You don’t want to make it seem that your only after school activity was test prep. You’re on a tough quest, but a worthy one! A 36 is difficult to achive—but not impossible. I’ll see you out there reaching for the stars, ACT scholars. Good luck!